“What if I don’t know the answer to a question I’m asked?” This is probably the number-one anxiety among business school candidates facing an MBA interview. Thankfully, however, it is largely an unnecessary one, because your interviewer will always be asking questions about a topic you actually know very well—you!—not questions that require applied knowledge or research. So, in an MBA interview, you will not need to know how to calculate a discounted cash flow or express your opinion about the U.S. interest rate policy. Instead, you must be able to reflect on and discuss your life experiences, why you want an MBA, the value you can add to your target program and how you expect to engage with it, and your reasons for wanting to attend the specific school at which you are interviewing. As you prepare for your MBA interview, start by reviewing your entire application in depth, paying particular attention to the stories you presented in your essays. Be sure to reexamine your reasons for targeting the specific schools you have chosen and get comfortable speaking out loud about your short- and long-term goals and ambitions. In addition, take some time to think about the inflection points in your life and how and why you made the particular choices you did at those important times. Finally, consider instances when you have performed as an individual or a team player. 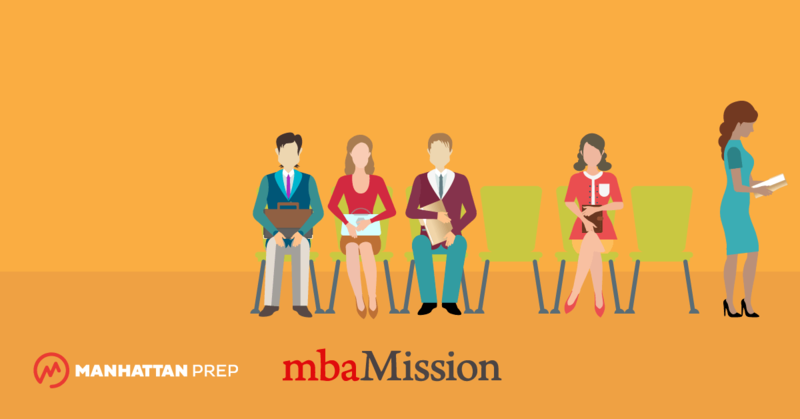 In short, your goal in preparing for your MBA interview is to be ready with anecdotes that highlight important aspects of your personality, capabilities, and experience and to be thereby equipped to engage in a thoughtful conversation with someone who is there to listen to and learn about you. MBA interviews fall into two categories: blind and comprehensive. In a blind MBA interview, your interviewer will not have read your file and will come to the meeting with very little information about you beyond, perhaps, what is listed in your résumé. As a result, you can expect to be asked primarily open-ended questions. For example, your interviewer may start with a fairly basic question like “Can you walk me through your resume?” or “Tell me about yourself—who are you?” As you answer this opening question, your interviewer may interject with a few questions along the way in response to certain topics as they arise. Or, he/she may just sit quietly and allow you to finish your response, then follow up with additional questions about why you feel you need to go to business school and why you have chosen this specific school. Later, your interviewer will likely ask you about your leadership and team experiences—both successes and failures—and may finish with questions about your personal interests and community activities. Blind interviews follow no real standard form. Your interviewer will pose the questions, but you can control a lot of the direction and tone of the interview by selecting the nature and content of your responses. In a comprehensive MBA interview, your interviewer will have read your entire application file and will already have questions in mind, most often ones that focus on how you make decisions or respond to certain situations. For example, a question for someone who was transferred for a promotion might be “What were the differences culturally between the Los Angeles office and the Boston office—and how did you adjust?” Or, alternatively, someone who gained an early promotion might be asked, “Why do you think ABC Consulting made the choice to promote you ahead of others?” Although you will not be able to control the agenda of a comprehensive MBA interview as easily as you might that of a blind interview, you will probably end up feeling challenged but not as though you had been “grilled.” Your interviewer is not trying to poke holes in your stories or trip you up in any way, but rather to better understand your choices, motivations, and personality by probing into your experiences in more depth. Resist the urge to launch into a story. Your instinct may be to just start speaking, hoping that you will find the right story as you progress. This is a high-risk strategy, because if it goes wrong, it can compound the problem. Instead, pause for a moment to form an appropriate response. You can even say, “That is a good question. I am going to have to think about it for a moment,” before answering. Take a sip of water, if available. Many interviewers will offer candidates a glass of water at the beginning of the meeting. Take the water, if offered, and use it throughout the interview as a buffer to buy time or force yourself to slow down. If you get stumped, the water can offer a brief opportunity to pause naturally, alleviating any awkwardness before you begin speaking again. Maintain your poise. If you absolutely cannot answer a question, do not become overly apologetic or grovel. Simply acknowledge that you are having trouble with the question and politely ask if you might come back to it at the end. This is not a best-case scenario, but it is certainly far better than rambling and apologizing. A confident approach during a tricky moment may even impress! Forget about it. If you cannot answer a question, accept the fact and move on. If you spend the rest of the MBA interview thinking about that moment, you will be distracted and struggle with any subsequent questions.